Aluminum oxides and silicon carbides are the most commonly used abrasive for antiskid purposes. Crushed bottle glass in very coarse sizes like 1020 is also used for anti slip coating applications, generally also broadcast onto your surface. Glass Bead (actual round beads) are also used for anti slip and are great with clear coatings where pigmentation is not desired. 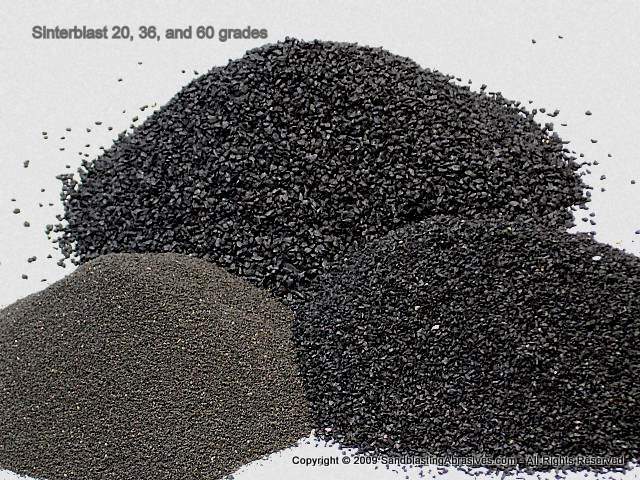 If ordering Black Silicon Carbide, check out the 16/36 grit. This is a special blend of grits for broadcasting on top of concrete and can be ordered online. 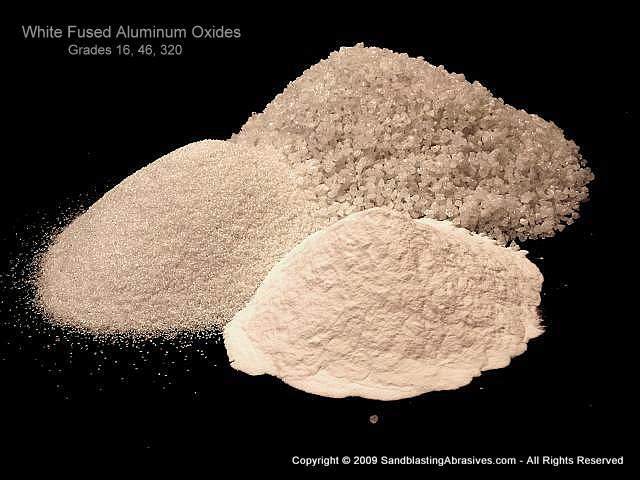 White Aluminum Oxide will not usually change the color of your resin/paint/epoxy coating. Crushed bottle glass will also generally not change your pigment. 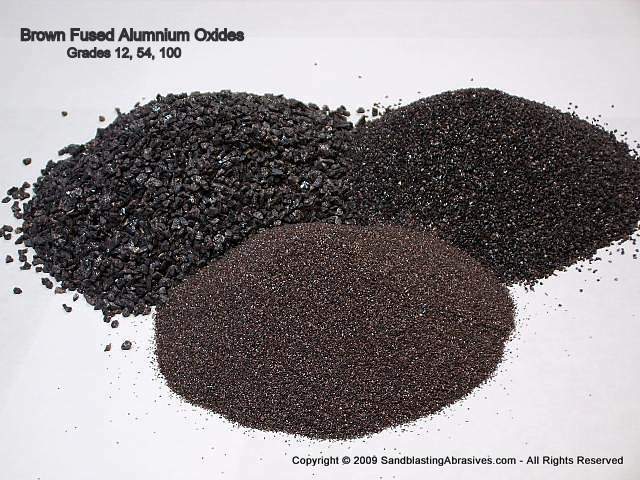 Sinterblast (Sintered Aluminum Oxide) is one of the most economical media to use for anti-skid, but is dark in color, appearing black in coarser sizes. 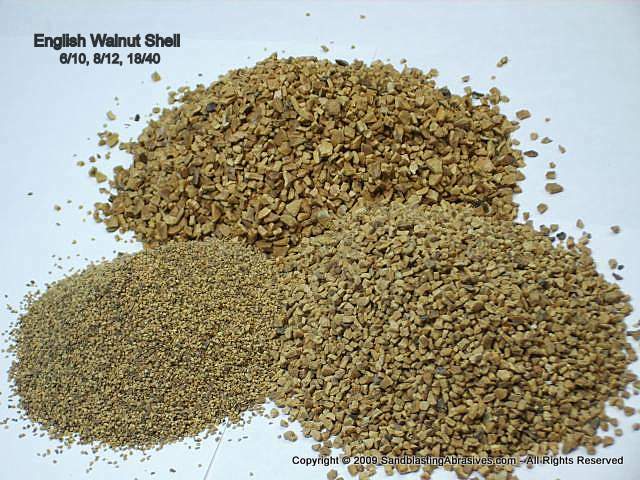 Other abrasives can also be used such as pecan and walnut shells, glass beads, etc. Heavier weight abrasives such as aluminum oxides should be halfway embedded into your coating when dry, and thus halfway protruding when your coating is dry. Therefore, if your coating is very thick, you need a coarser grit size. Thinner coatings will require a finer grit size. As a starting point, heavier abrasives are generally broadcast at 5-7 lbs per 1000 sq. ft. NOTE: Some flooring systems are just that - "systems" - and the aggregate is sandwhiched between layers, and may be required in a much larger amount of material, such as 4 lbs per sq ft for example. Contact the manufacturer of your flooring system and then we can quote the aggregate once you know how much you require. It all depends on the environment the floor is being made for. Slippery, fat laden meat processing plants for example, will require very coarse grit sizes, and in large amounts.